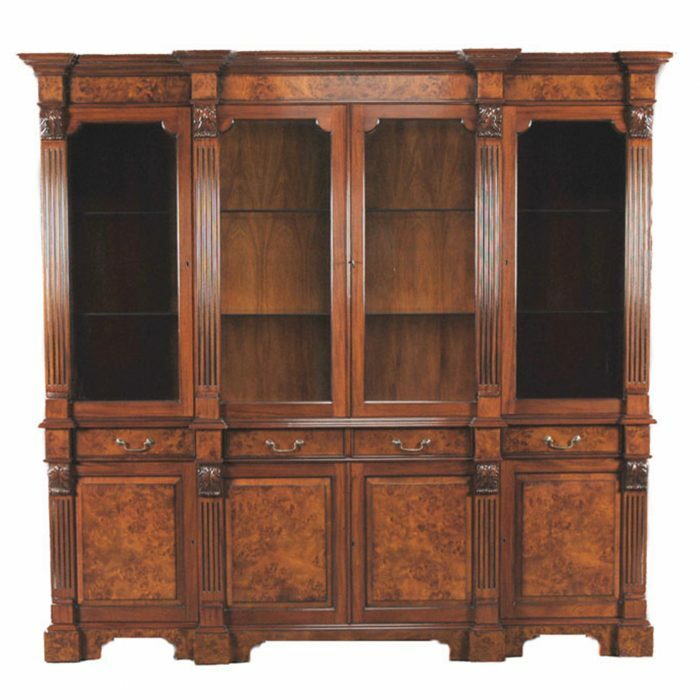 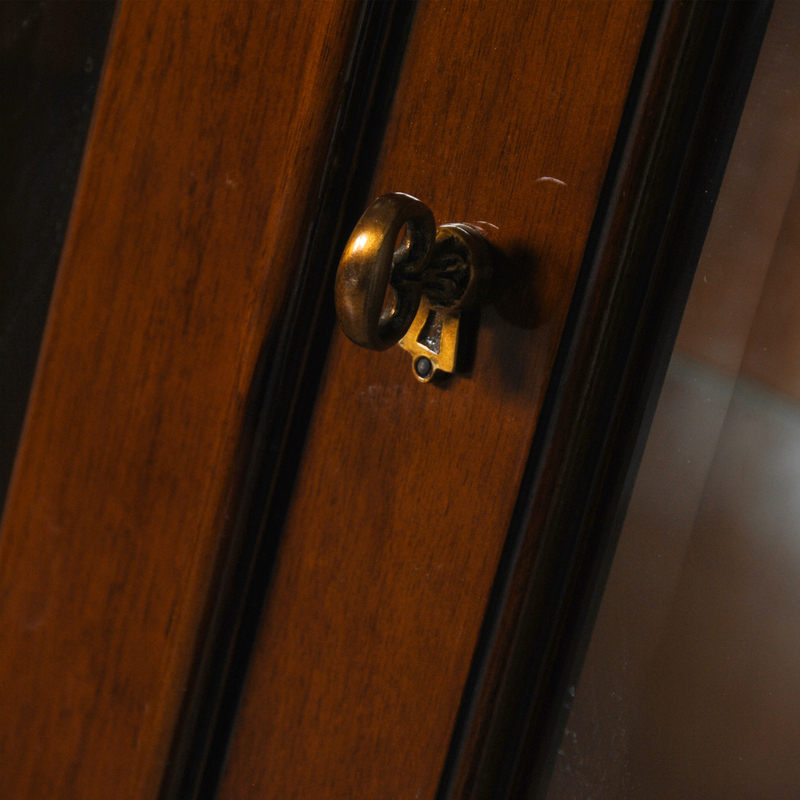 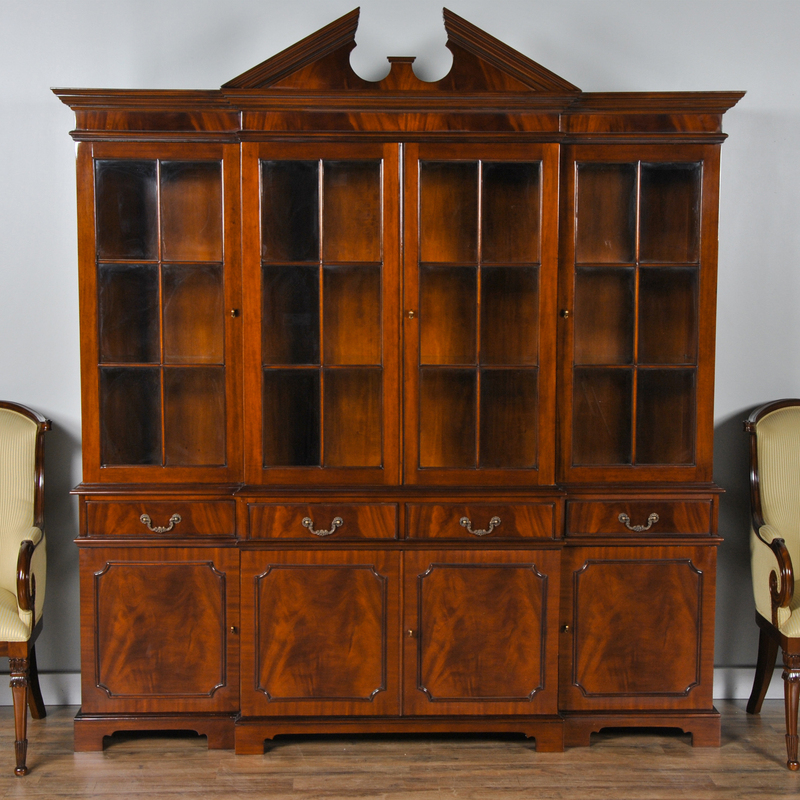 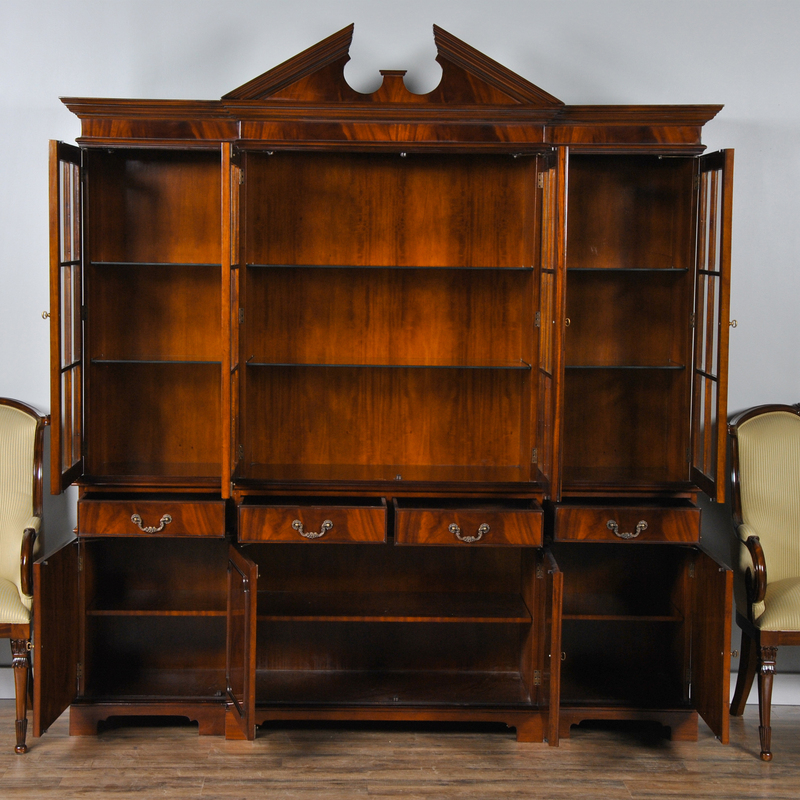 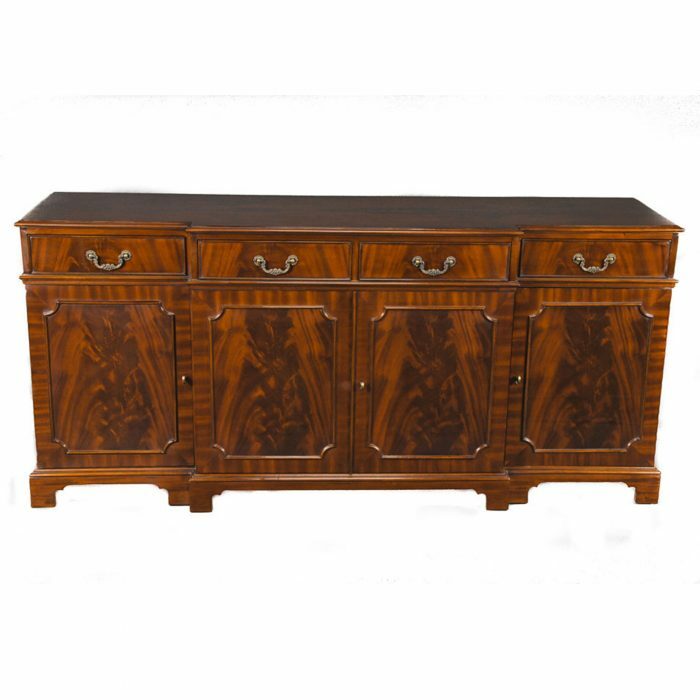 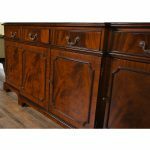 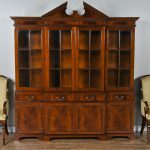 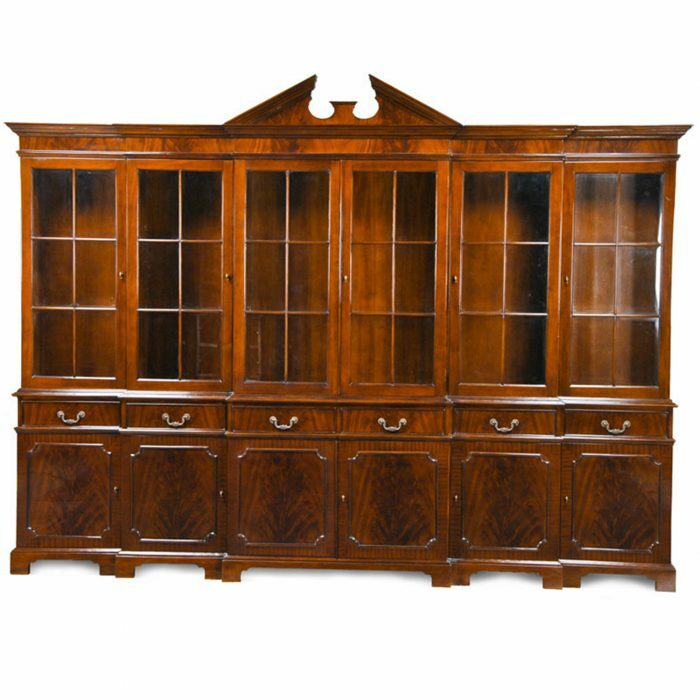 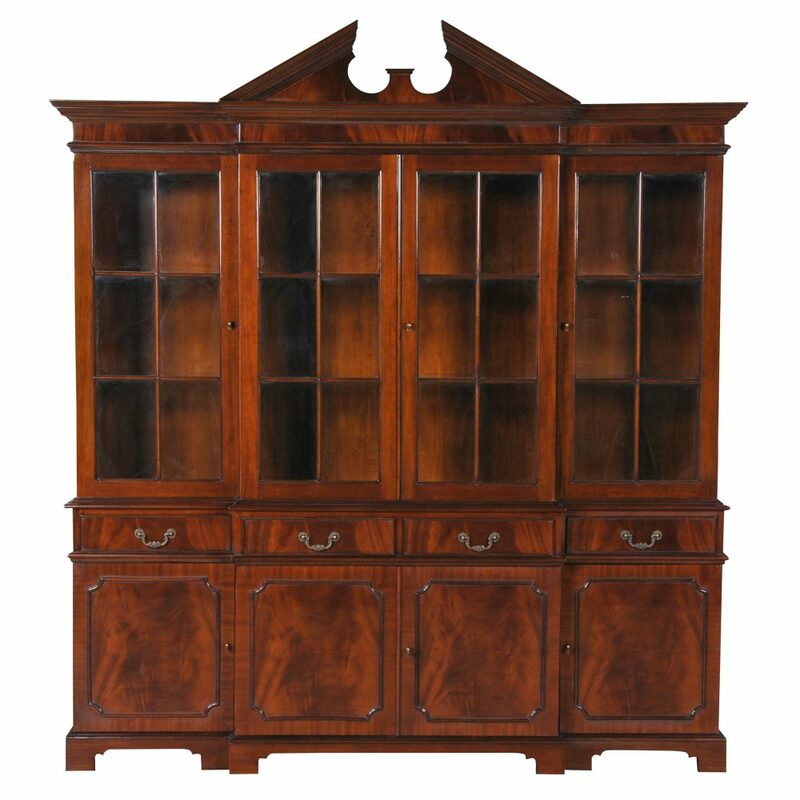 The Niagara Furniture Four Door Breakfront is simply as elegant as china cabinets come. 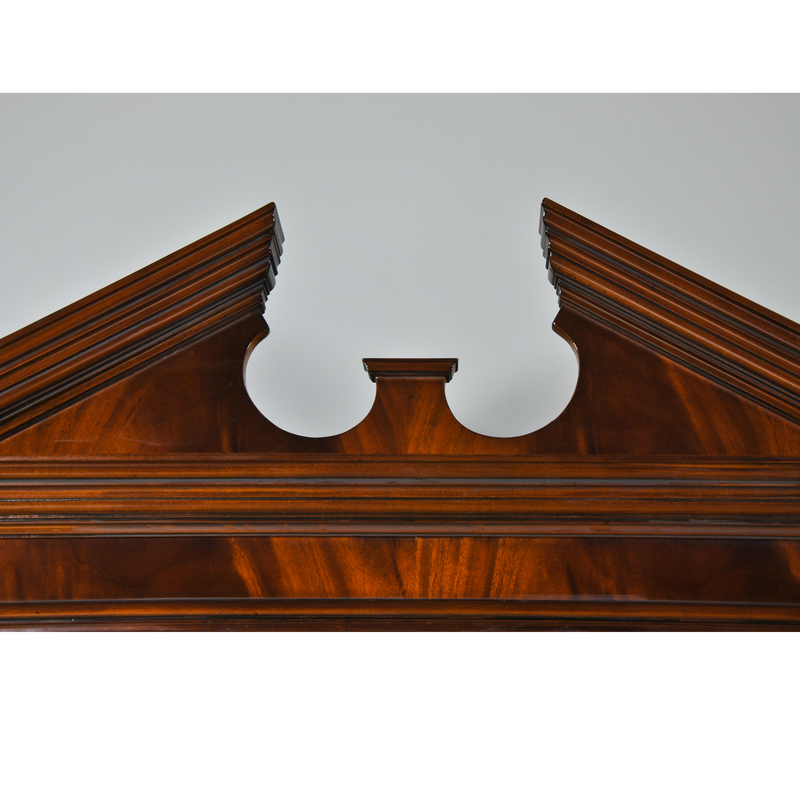 This breakfront accentuates and compliments any setting. 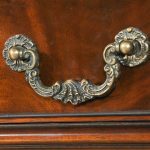 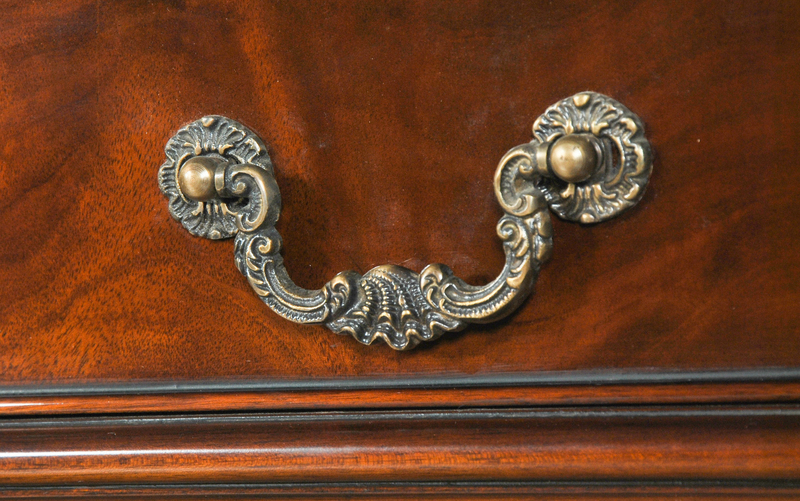 The crown can be removed should you desire to display the piece without it; this look is often popular when the breakfront is used in an office setting. 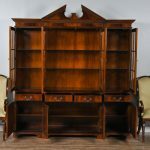 Built in two parts, the Four Door Breakfront top section features limited lattice work so you can display all of your favorite objects to maximum effect. 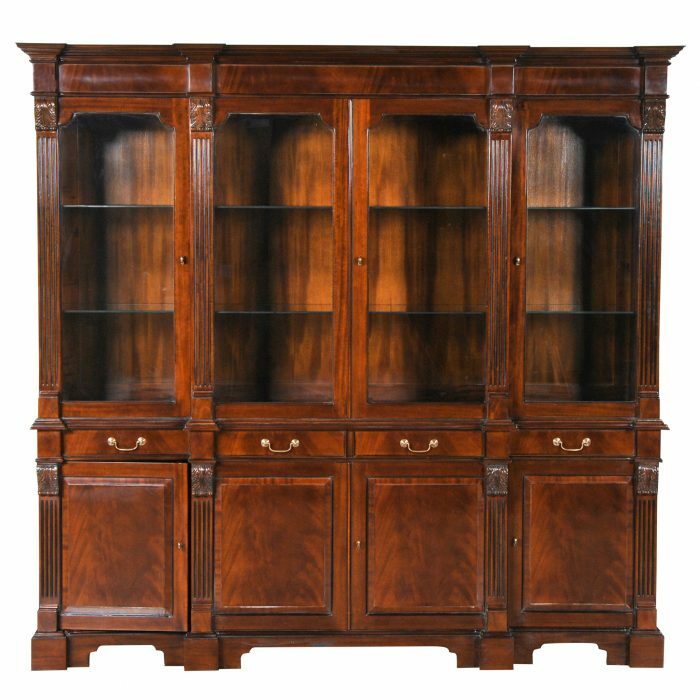 Glass shelves are used in the top section and lighting can be added to the cabinet should it be desired. 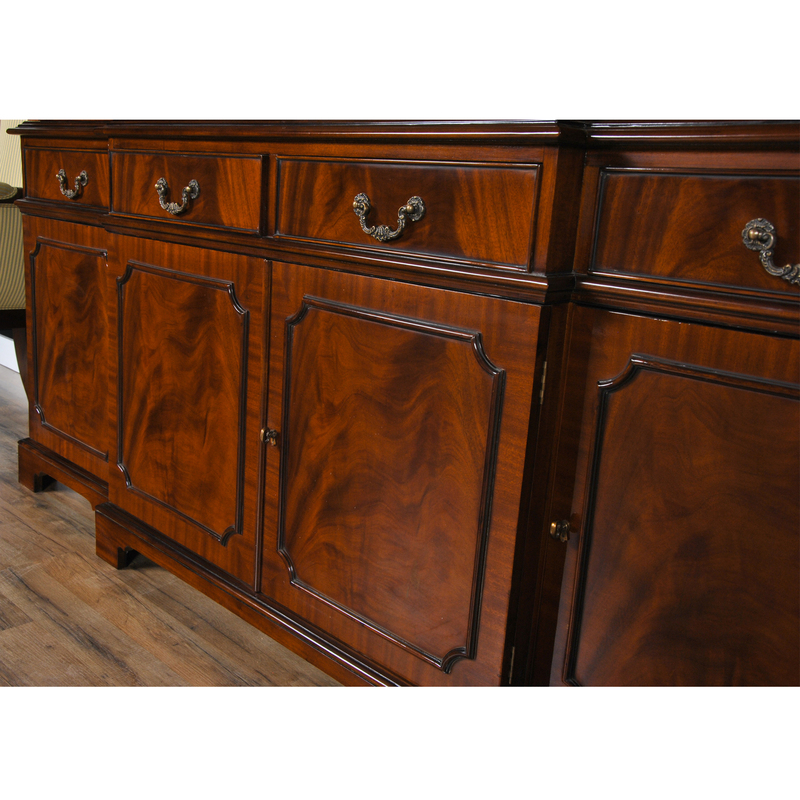 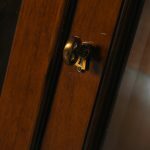 The bottom section of the Four Door Breakfront features fine quality veneers on the door fronts and plenty of storage space over top shaped bracket feet. 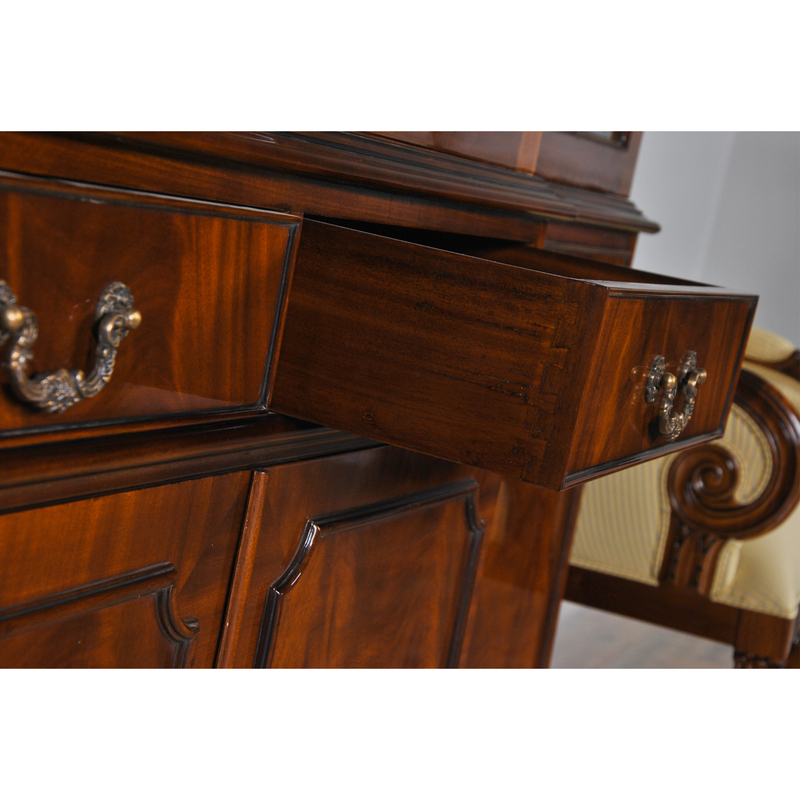 Four dovetailed drawers are also convenient for storing flat objects.